One of the major justifications from the business community to support the basic capitalist principle of growth, is that it will create more jobs. Creating more jobs is a phrase that is meant to silence critics and end discussion about what it is the company does or stop us from thinking about the unsustainable realities of economic growth. For instance, in a recent article in MiBiz, readers are told about a Bangor-based company, Getman Corp, which just announced that they might double their workforce because of global growth that impacts their industry. The article is filled with information about the implication of the expanding industry and relies on a company spokesperson as well as other people in the same industry in West Michigan. While sub-Saharan Africa is a resource-rich area, the Deloitte report stated, the difficulty of financing, lack of infrastructure and corruption were the main reasons mining companies avoided the area. Consequently, miners are looking to more stable, if less lucrative alternatives. The report projects the top three countries to receive investment from the mining industry between 2012 and 2031 will be Australia, Brazil and Chile — in line with the Getman Corp.’s market strategy. Of course, what the financial world considers volatile has to do with sales growth and projected needs of products and services. 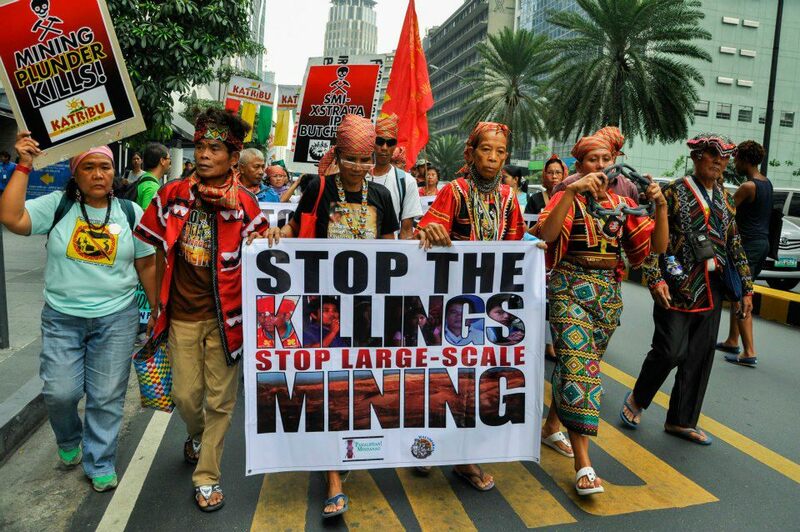 What they aren’t concerned about is the ecological and human health impact that mining has globally. 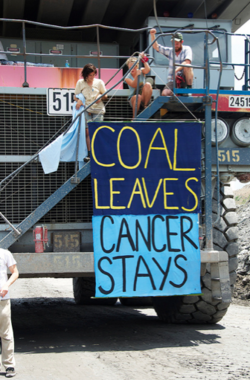 Many people are aware of the impact that coal mining has, particularly in recent years with campaigns to stop mountain top removal of coal in the US. However, the impact of mining is vast, whether it is mining for gold, silver, copper, iron ore or the many other substances extracted in the process of mining. Highly toxic chemicals are used in mining and the mining process almost always required large sums of water, which not only depletes the water sources of nearby communities, it often pollutes the water and soil near the areas being mined. Mining also has a long history of human rights abuses and this history continues today, with numerous campaigns to combat mining and the repression from the mining industry in countries like Australia, Ecuador, Guatemala and El Salvador. In fact, in late 2011, GVSU hosted an anti-mining activist from El Salvador who spoke about the repression that he and other people in his community have faced because they dared to fight mining from US and Canadian companies. None of this information or perspective is included in the MiBiz article, because growth is good and new jobs cannot be questioned. However, any economic activity that causes ecological destruction and human misery should be denounced and resisted. Let’s not be fooled by the claims of jobs and growth. The planet can not afford it.